Our featured job of the week is for a large NHS organisation located in the North West, who are currently seeking an experienced and very capable individual as an Interim Associate Director of Operations for Planned Care. The post is expected to last around 6 months in the first instance and would be on a Fixed Term Contract basis. Finegreen exhibiting at the Patient Safety Congress & Awards today & tomorrow! 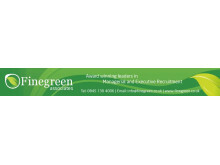 The Finegreen Team are now set up and looking forward to meeting with candidates and clients at the Patient Safety Congress and Awards, being held today and tomorrow at the Manchester Central. If attending, be sure to come and meet the team for a chat! 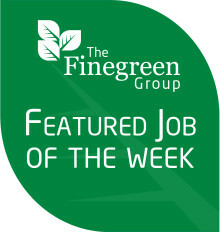 Our featured job of the week is for four CCGs based in the East Midlands who are establishing a single executive team. They have recently embarked on a process to recruit an Accountable Officer and their next step is to identify a CFO, responsible for developing a robust financial system for the four organisations that will have a combined commissioning spend that will exceed £1.5bn. Our featured job of the week is for a Clinical Commissioning Group based in the South East who requires an experienced interim Assistant Director of Primary Care Transformation for a six month assignment commencing in July. 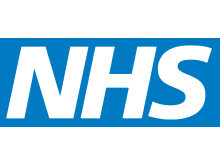 Our featured job of the week is for an NHS Foundation Trust located in the East Midlands, who are looking to appoint a Director of Business Development to lead on the developing partnerships, acquisition of new business, services and contracts to support and develop the sustainability of the organisation. 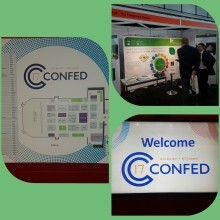 The Finegreen Team are looking forward to exhibiting at this year's NHS Confederation Annual Conference, being held this Wednesday 14th & Thursday 15th June at the ACC Arena in Liverpool. If attending, be sure to come and meet the team at stand H24 and enter our prize draw for a chance to win a Red Letter Day! Our featured job of the week is for an NHS Acute Trust in the North East who are seeking an experienced NHS financial accounting professional at AfC 8b/8c level for a period of 4-6 months on an interim basis whilst they recruit to the position on an permanent basis. Our featured job of the week is for four CCGs based in the East Midlands who are establishing a single executive team. Their first crucial step in this process is to identify an Accountable Officer. Accountable to the CCG Governing Bodies and NHS England, the Accountable Officer will lead a joint executive team across the four organisations. Our featured job of the week is for an NHS Trust in the South West who are looking to appoint a Head of Capacity and Patient Flow for a one-year fixed term contract. 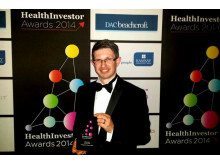 Finegreen at the Health Investor Awards 2017! 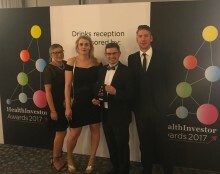 Some of the Finegreen Team were at the Grosvesnor House Hotel in London last night, for the Health Investor Awards 2017 where we were shortlisted for Recruiter of the Year, an accolade we’re extremely proud to have won 3 times in the last 4 years. Our featured job of the week is for a large NHS organisation who are currently seeking a very capable individual as an Interim Head of Procurement. The post is expected to last around 4 months in the first instance. Our featured job of the week is for an NHS organisation based in the South Central area of England, who are looking for a Head of Estates and Facilities for an initial period of 3 months. Our featured job of the week is for a large NHS organisation, who are looking to appoint an experienced Corporate Governance specialist for a period of 3 months initially. Our featured job of the week is for a large NHS organisation in the North West, who are currently seeking a very capable individual to work with them in the post of Divisional Director of Operations focused on Urgent Care. 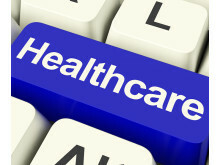 Our featured job of the week is for an NHS Trust in the West Midlands who, due to the retirement of the current Group Director of Community & Therapies & their planned expansion plans for community services, they are now seeking to appoint to a new post of Director of Operations to their Primary, Community & Therapies Clinical Group to support them in achieving their 2020 vision. Our featured job of the week is for an NHS organisation based in the South Central area of England, who are looking for an Associate Director of Estates and Facilities for an initial period of 3 months. Our featured job of the week is for a large NHS organisation in the South East who are currently seeking a very capable individual to work within their Senior Operations team reporting to the CEO. Our featured job of the week is for an NHS organisation based in the North West who are now seeking to appoint to the senior managerial post of Associate Director of Capital Development. Reporting directly into the Trust’s Deputy CEO/Director of Strategic Development, the post-holder will undertake the strategic and operational management of a range of capital and property services.